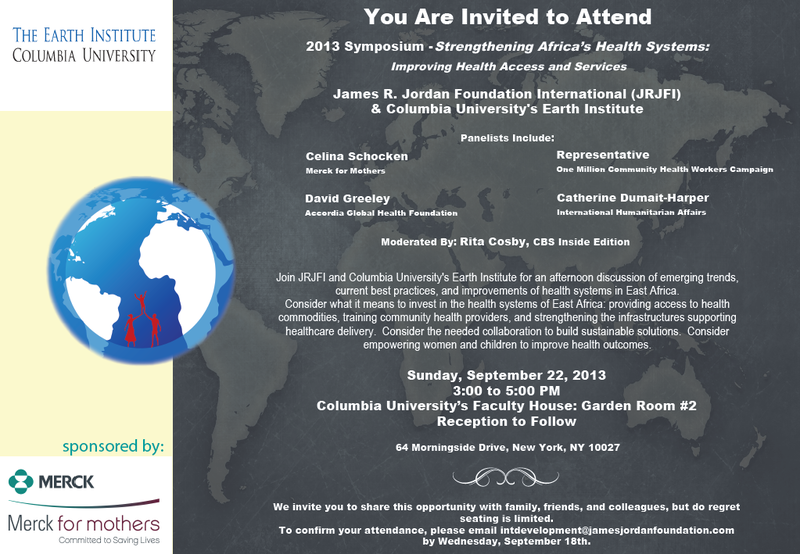 September 22, 2013 marked the James R. Jordan Foundation International's 2nd Annual Symposium - Strengthening Africa's Health Systems. This year, a grant from Merck for Mothers made the event possible, as well as a partnership with The Earth Institute, Columbia University. To view the Symposium, click on the photo below. Left to Right: Celina Schocken, Merck for Mothers; David Greeley, Accordia Global Health Foundation; Joanna Rubinstein, The Earth Institute; and Catherine Dumait-Harper, International Humanitarian Affairs. 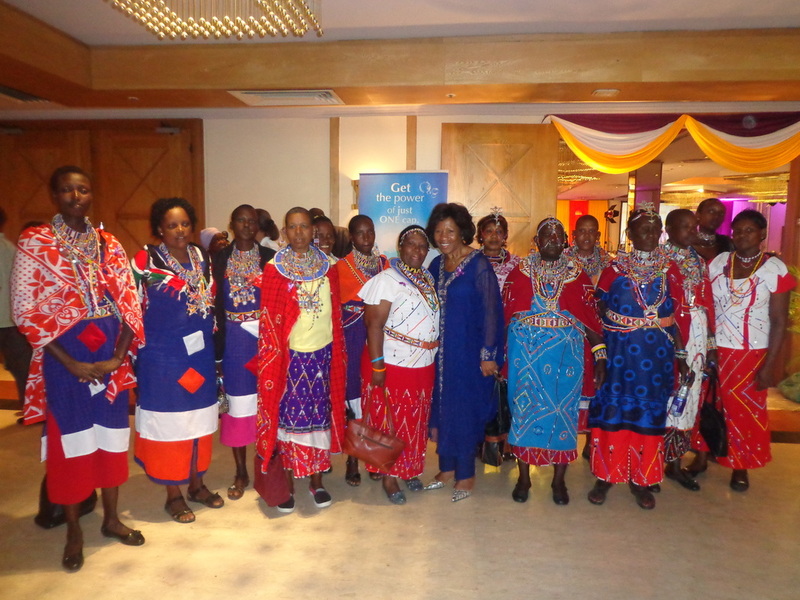 March 18, 2013 marked the James R. Jordan Foundation International and the Kenya Women and Children's Wellness Centre's third annual International Women's Day Luncheon. Over 450 people were in attendance to hear speakers including: Mr. Karim Jamal, Starlit Insurance Brokers; Mr. Vincent Rapando, Secretary General of the Africa Conference on Volunteer Action for Peace and Development; Mr. Rene Kiamba, Johnson & Johnson; US Ambassador to Kenya Mr. Robert Godec; and Mr. Bob Collymore, Safaricom Ltd. Performances were also given by Eric Wainaina (pictured on left) and the Kasarani school children (pictured below left). To view more photos of the 2013 International Women's Day event, click on the photo below.